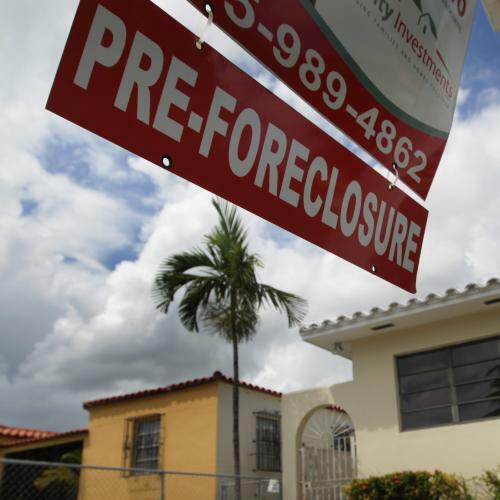 Today, 49 states have launched a joint investigation “ into allegations that mortgage companies mishandled documents and broke laws in foreclosing on hundreds of thousands of homeowners.” But it appears the mortgage market is even messier than that massive investigation would suggest--Felix Salmon at Reuters is onto another (and possibly even larger) problem. Here's the quick version of what happened: Big banks bought up big pools of mortgages to package and sell as mortgage-backed securities. But before they signed contracts, they paid an outside firm to evaluate a small sample of the mortgages and make sure that they were of a decent quality. Because this was happening during the subprime boom, predictably, a large number of mortgages were garbage. The big banks then refused to purchase most of those bad mortgages. However, the testing only covered a sample of the mortgages, meaning there were almost certainly even more duds still in the pool. What did the investment banks do with this info? They didn’t pull out of the deal or inspect all of the mortgages for lemons. Nope. Instead, they demanded a lower price. Seems like savvy business, but there's a problem. Now here’s the scandal: the investors were never informed of the results of [the] test. The investment banks were perfectly happy to ask for a discount on the loans when they found out how badly-underwritten the loan pool was. But they didn’t pass that discount on to investors, who were kept in the dark about that fact. So why does this all matter? Well, according to Salmon, this new mess is likely to result in some massive (think billion-dollar-plus) lawsuits and SEC action. And that means more trouble for an already troubled housing market. Just what we need. I encourage you to read Salmon's post for the whole picture. It's an impressive piece of reporting and analysis, and the numbers on how many mortgages were bad are just plain scary. UPDATE: Turns out the Huffington Post's Shahien Nasiripour has also done some great reporting on the outside firm that did the analyses for the big banks. You can check it out here and here.